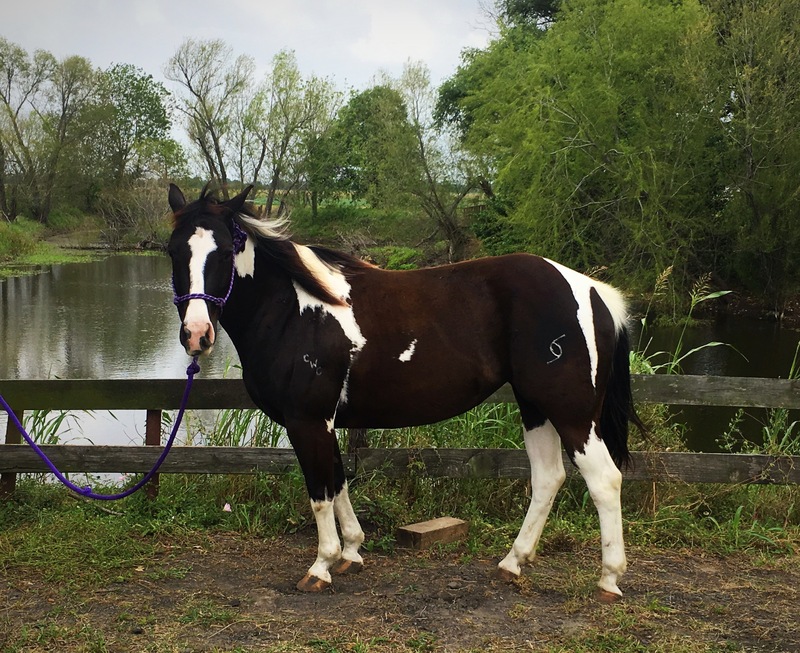 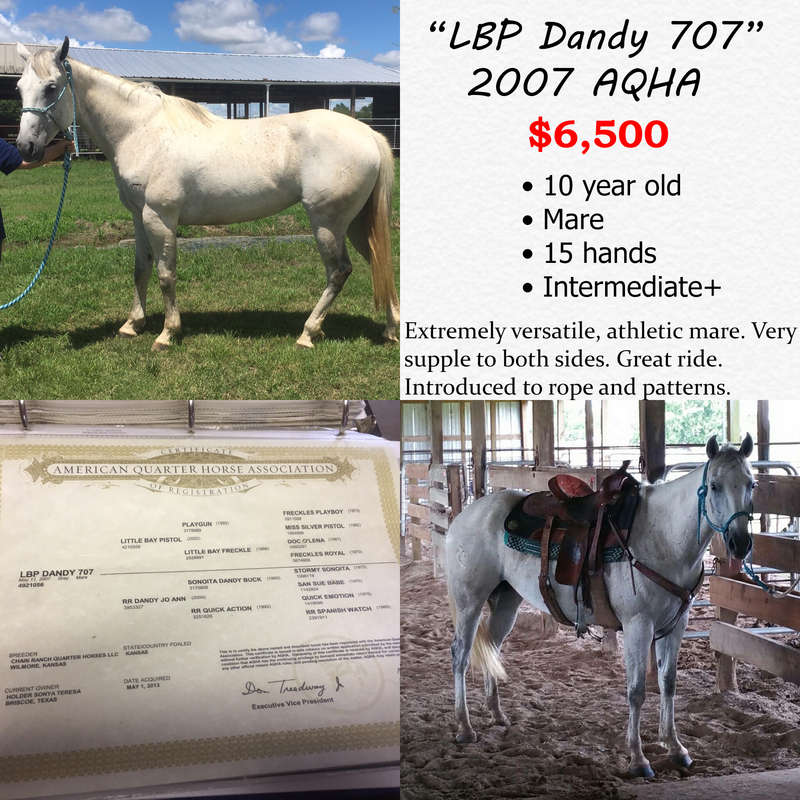 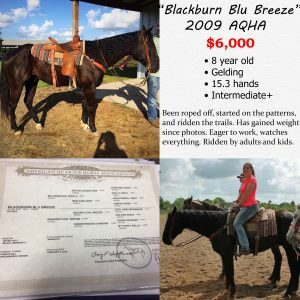 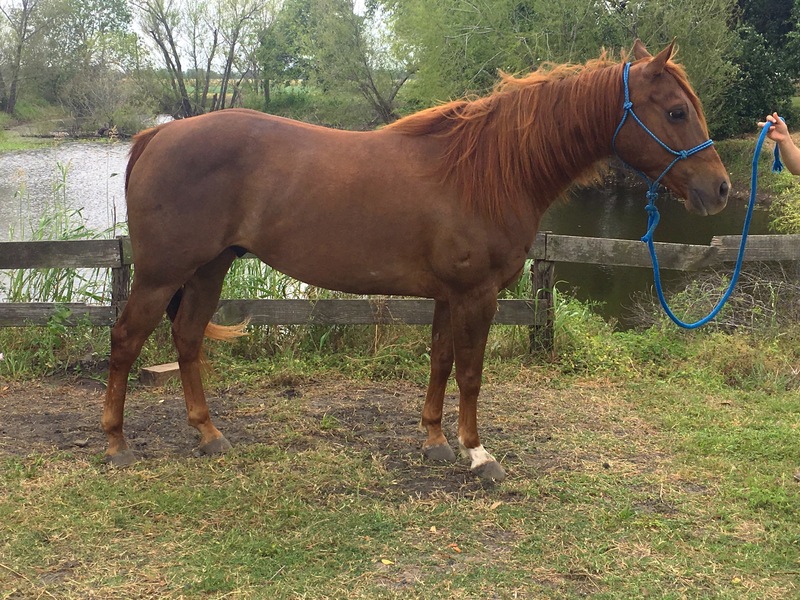 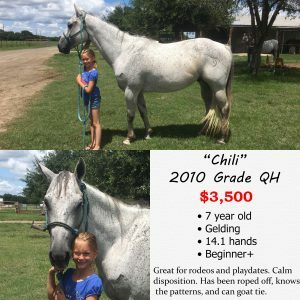 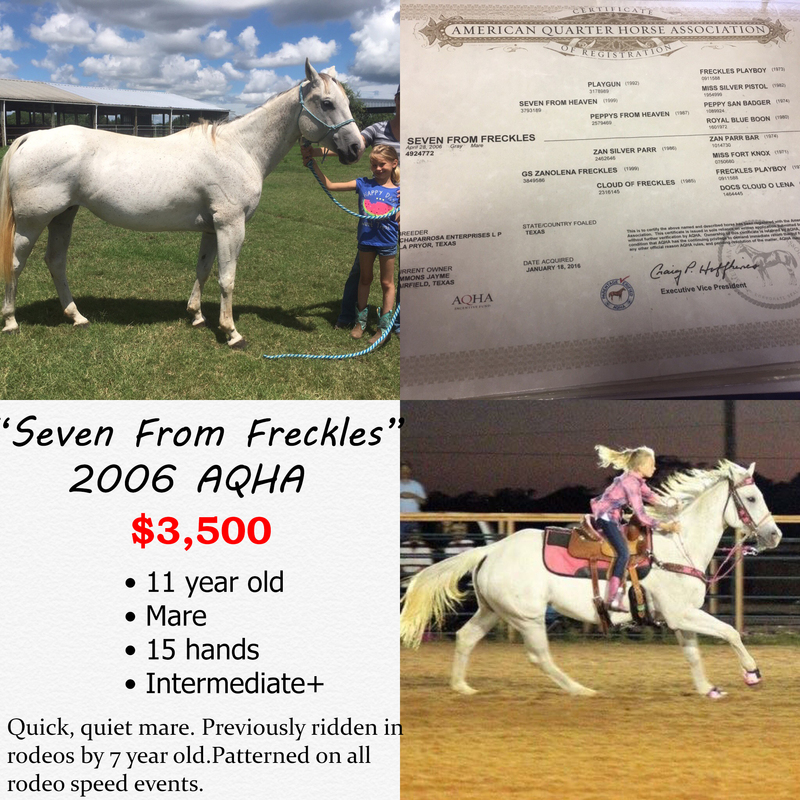 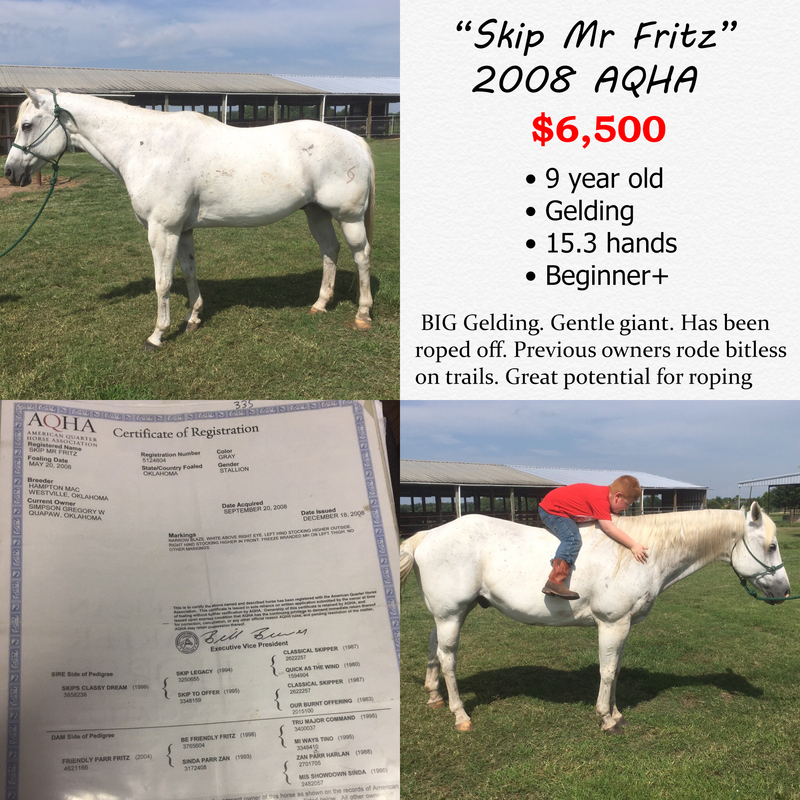 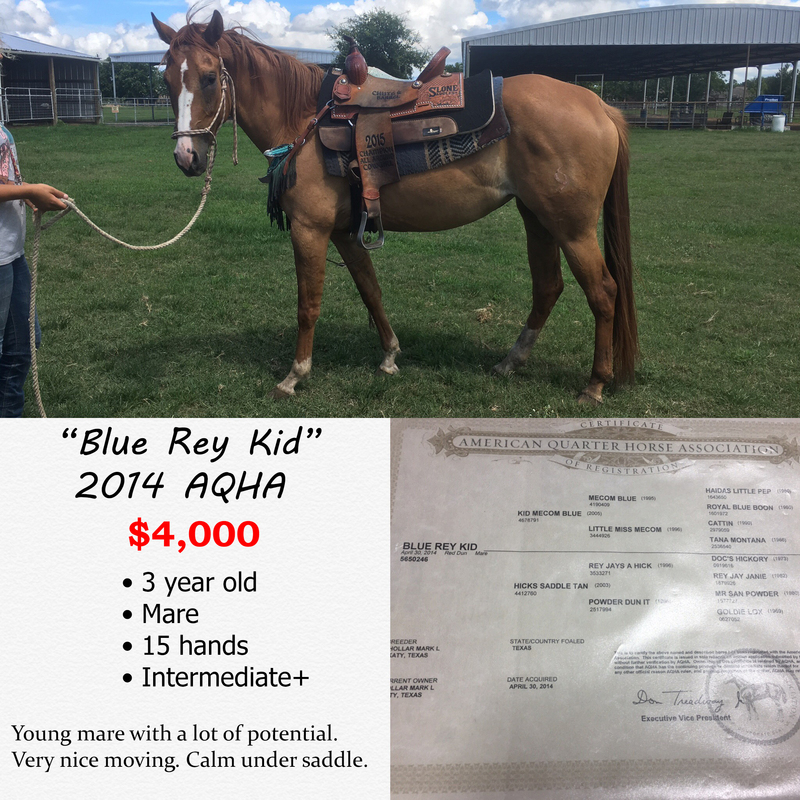 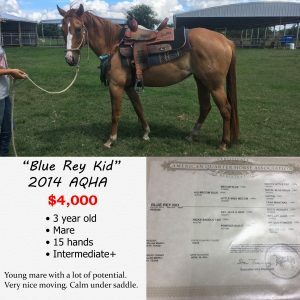 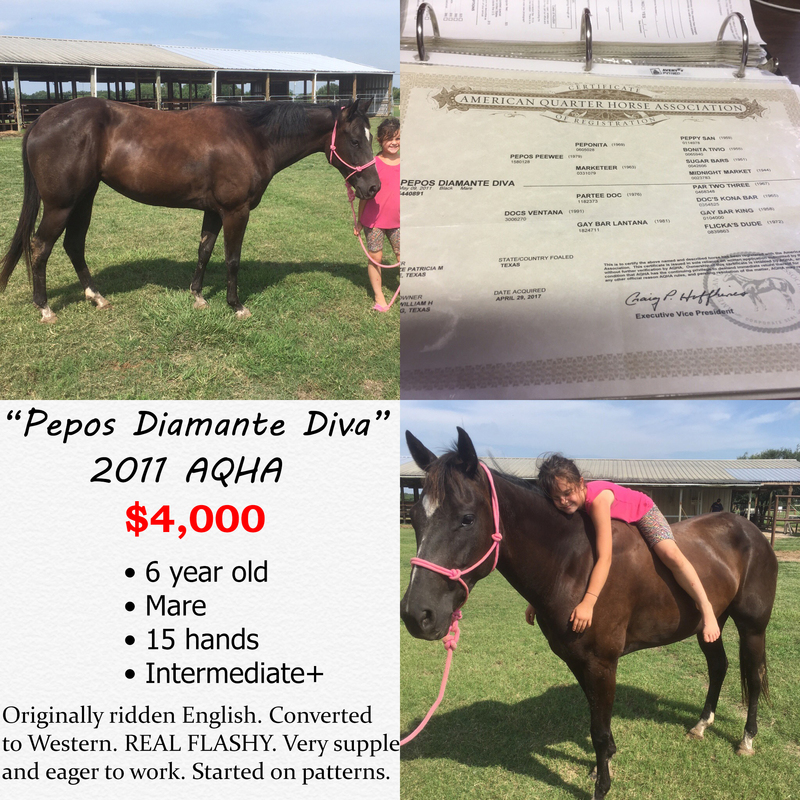 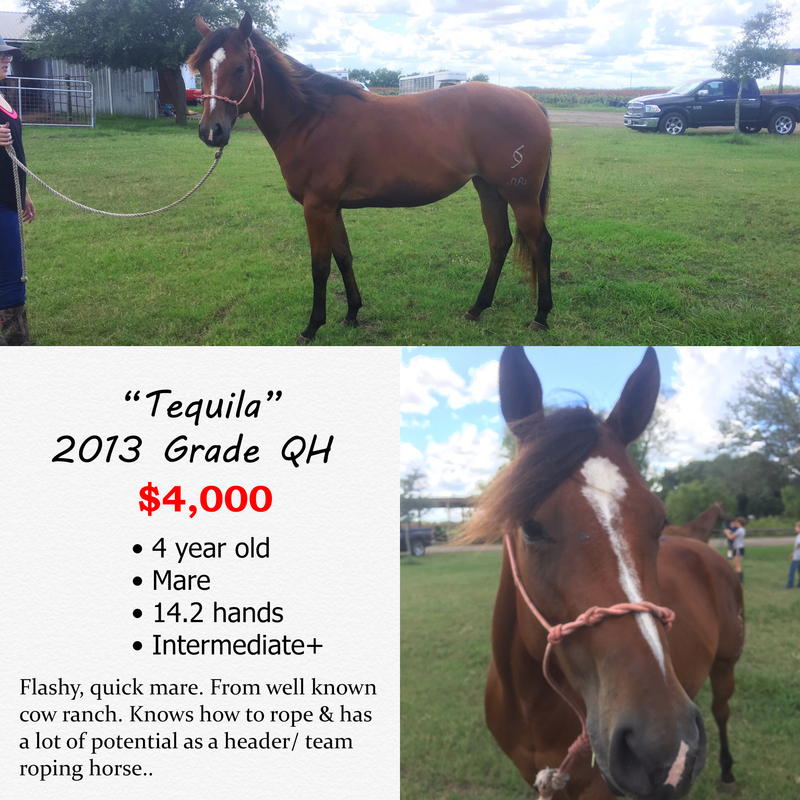 APHA registered 7 year old bay paint mare. 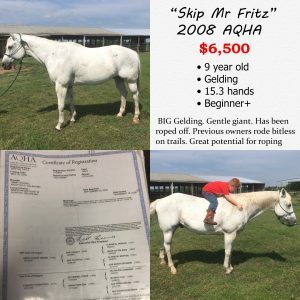 Nice handle. 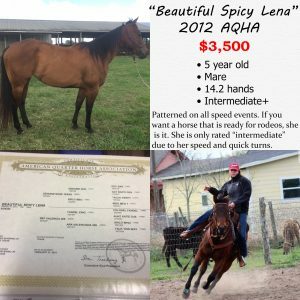 Started in barrels, poles, straights, and other YRA speed events. 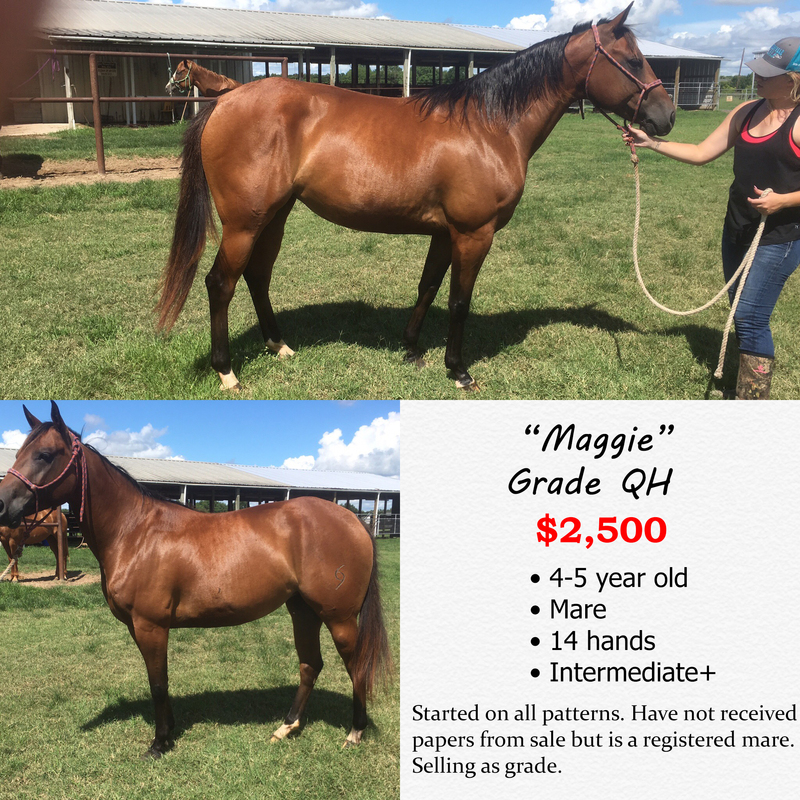 Very intelligent with good disposition. 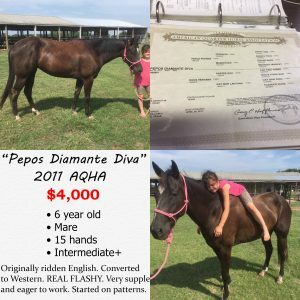 Loads, clips, bathes, and hauls. 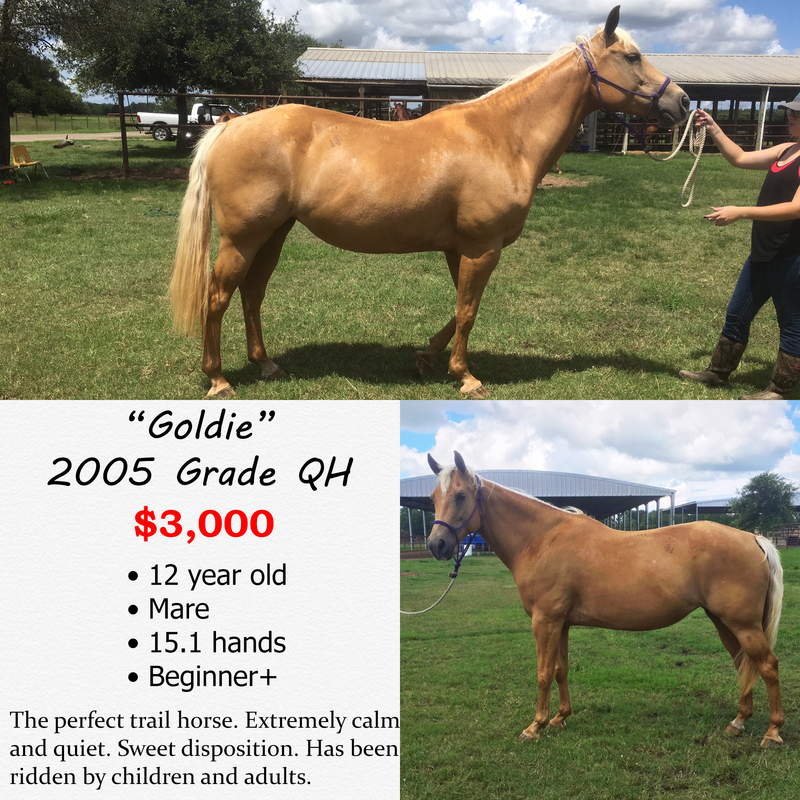 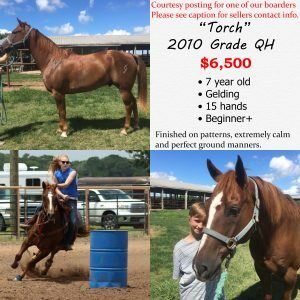 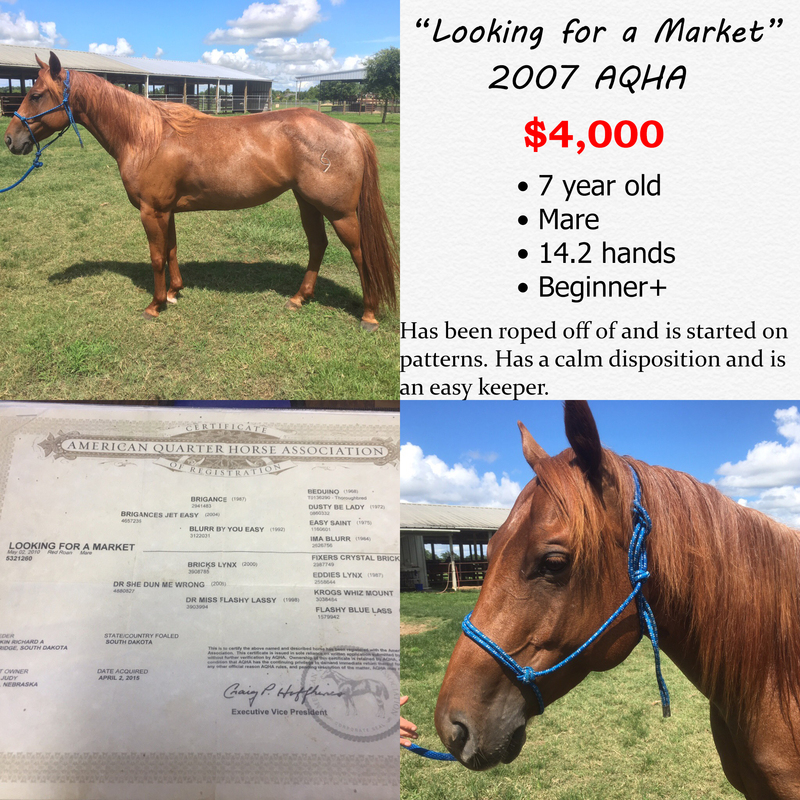 AQHA registered 10 year old chestnut gelding. 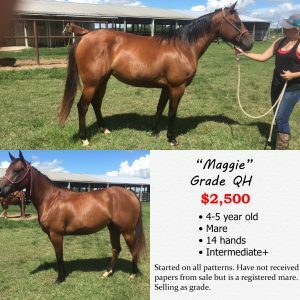 Finished in breakaway and started in tie-down. 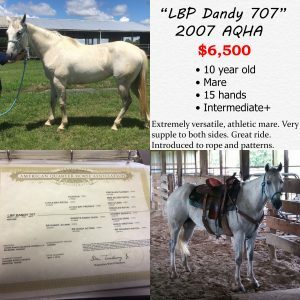 Can really run and BIG stop. Gentle with a nice handle.